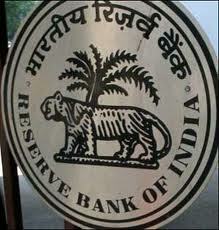 Mahapatra committee observes extraordinary rise in restructured assets With debt recasts rising substantially over the past two years and a major part of such loans threatening to slip to the non-performing category, Indian banks' credibility will be at stake in case of a latter scenario, the Reserve Bank of India said on Thursday. The central bank said market participants were using the proportion of restructured standard advances to gross advances as an indicator to measure the stress on banks and there was a perception that a significant portion of these assets would turn into non-performing assets (NPA). "The gross NPA ratio, hitherto the main financial ratio to gauge the level of impairment in the banking sector's assets, is now being complemented with the ratio of restructured standard advances to gross advances as a measure of latent impairment of financial assets," said B Mahapatra, executive director of RBI, at a seminar organised by CAFRAL on Thursday. stringent norms for such loans. A loan is restructured by banks if a borrower faces difficulty in repaying. If a standard advance is restructured, then except for a few categories such as commercial real estate and personal loans, banks can continue to classify the asset as standard even after the recast. Since asset classification is downgraded following the debt recast, banks need to make lower provisioning. If an asset become sub-standard or non-performing, banks need to have higher provisioning, which hurts their bottom line. However, banks are now criticised for using the debt recast tool to defer the inevitable, that is, restructuring a loan which does not have the potential of becoming a regular one. "The working group (Mahapatra committee) observed that there has been an extraordinary rise in the level of restructured 'standard' assets, even surpassing the quantum of gross NPA of the banking sector," he said. As at-end March 2012, while the gross NPA of Indian banks were Rs1.37 lakh crore, restructuring was to the tune of Rs2.18 lakh crore. It its report, the Mahapatra committee had suggested all restructured assets would have to classified as NPA. The panel had suggested abolition of the forbearance after two years and in the interim, increasing the standard asset provisioning requirement to five per cent from the present two per cent. Indian economy faces a major CRISIS, but who cares?